Star Trek legend William Shatner will pay homage to his friend and co-star Leonard Nimoy in a book about the late actor’s life. 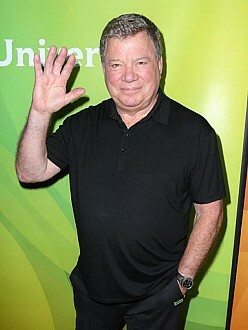 Shatner, 84, starred in the iconic sci-fi series as Captain James T. Kirk, opposite Nimoy’s half-human half-Vulcan science officer Mr. Spock, and now Shatner is going to honor his ”brother” in print. Nimoy and Shatner acted together for three seasons of the series set in the 23rd century on the USS starship Enterprise, from 1966 to 1969. Nimoy – who was 83 when he passed away in February this year – went on to star in another hit TV series Mission: Impossible. He also won acclaim in stage shows Fiddler on the Roof and One Flew Over the Cuckoo’s Nest in the 1980s. Fan Expo: Day Two Roundup with William Shatner and Jack Gleeson! San Diego Comic-Con weekend guide to what’s happening!